Warm the olive oil in a large frying pan over medium heat. Add the garlic and pepper flakes. When the garlic starts to brown, add the chard and a few tablespoons of water. Cook till the chard is wilted but still bright. Five to ten minutes, maybe. Add the vinegar and butter if you’re using. Stir in the basil, olives, and the cheeses. Wipe out the pan. Add the 2 T of olive oil. Add the mushrooms and sage. Fry, stirring carefully until the mushrooms are browned and crispy on both sides. Add a splash of vinegar or a touch more olive oil if the pan gets dry. In a large shallow bowl arrange a layer of lettuce. Top with the chard/ basil mixture. 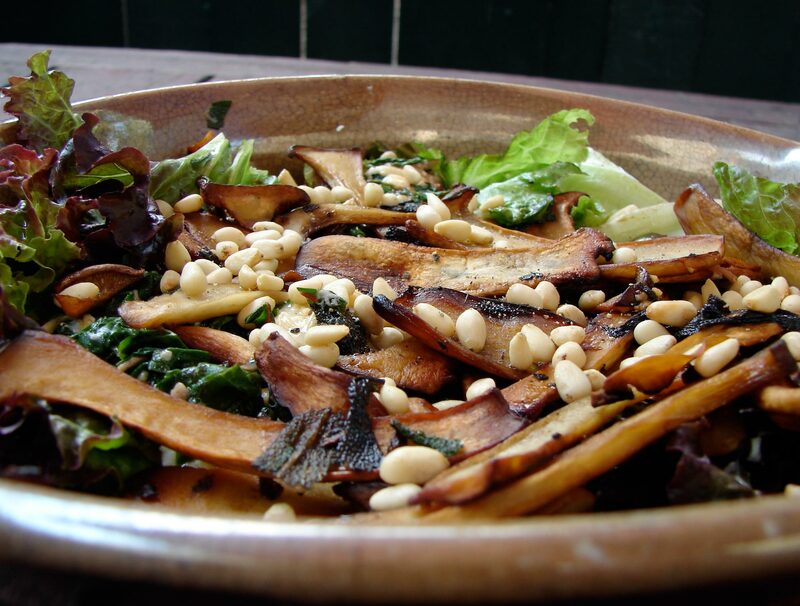 Top with the mushrooms, and sprinkle the pine nuts over the top. Season well with salt and pepper. Serve with a loaf of good bread. 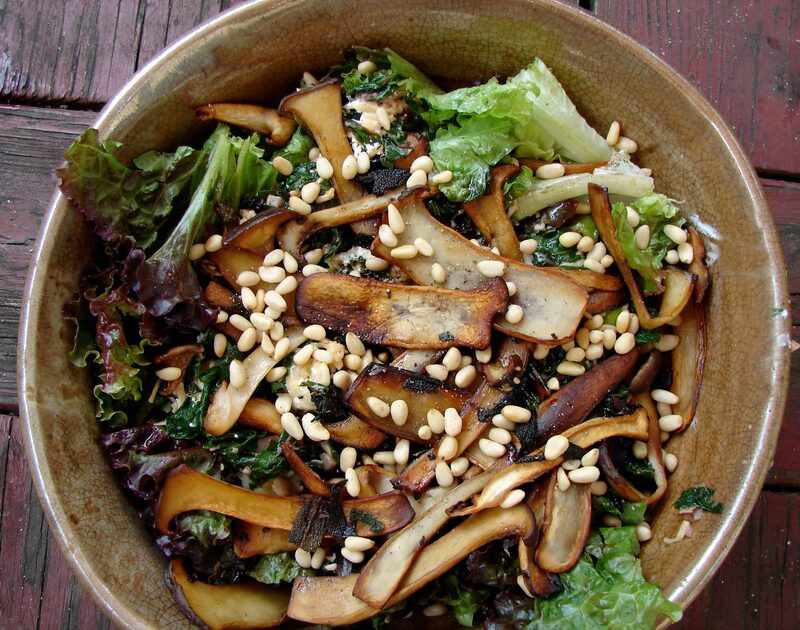 This entry was posted in mushrooms, recipe and tagged basil, brie, chard, goat cheese, pinenuts, quick dinner, sage, smoked gouda, trumpet mushrooms, warm salad by Claire. Bookmark the permalink.